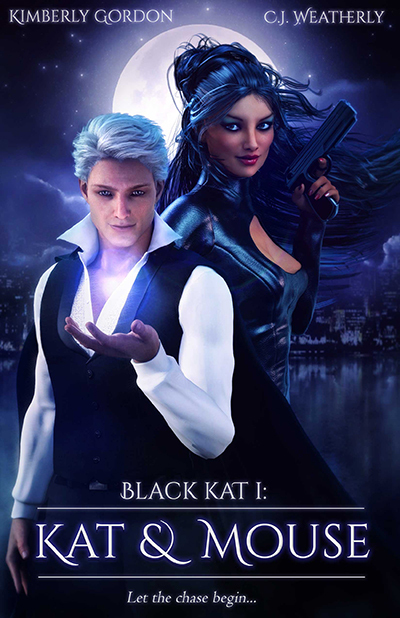 Fasten your seat belts and join the wild adventures of Black Kat and the Supers in this dark, romantic comedy series spanning both urban fantasy and fantasy. 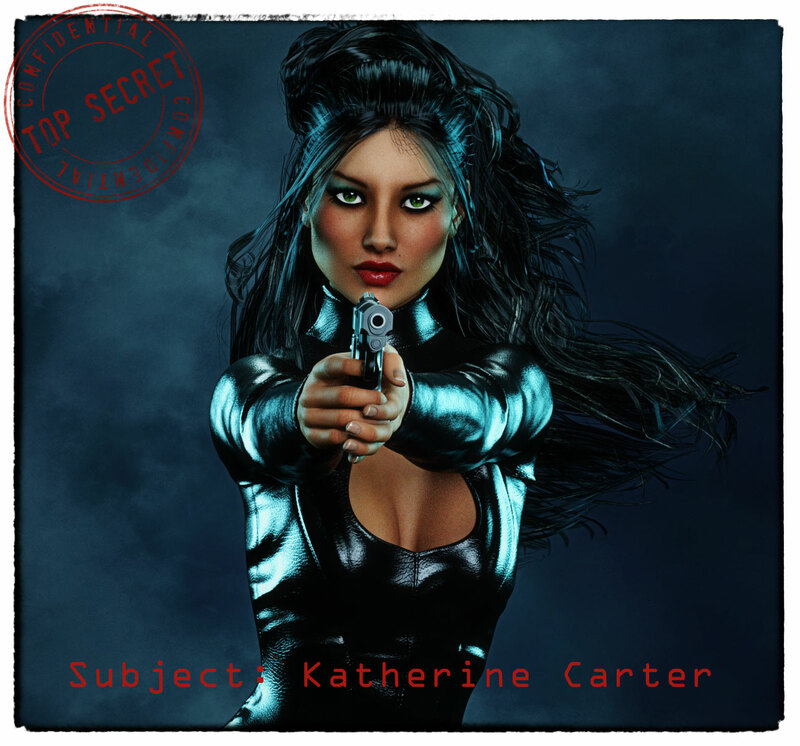 Bounty hunter Katherine Carter always gets her man. Sometimes, too many of them. Her hot, Latino cop boyfriend is getting too serious too fast and she isn’t sure she can trust her shady partner. Then there’s the elusive escape artist she’s hunting down, as well as the gorgeous glowing man who saved her from a bad scrape in Cabrini-Green. Between chasing and being chased, she’s getting quite a workout. 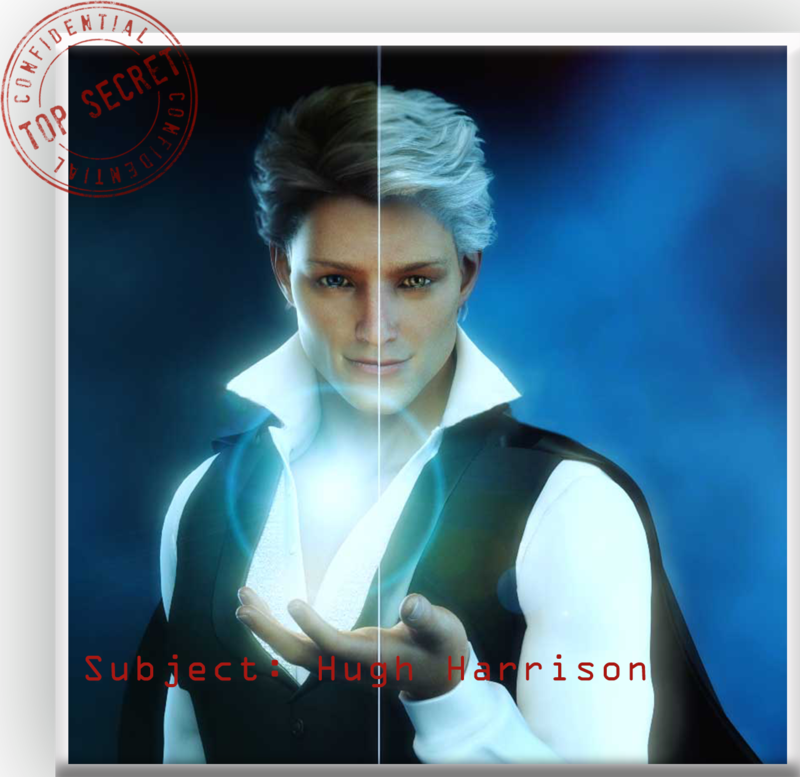 Poisoned by a jealous woman, hexed by another, and wrongfully accused of murder, Hugh Harrison is out of luck–and time. That is, until his fellow Supers bust him out of prison. Hugh finds himself on the run from the government, a toxic ex-lover, and a beautifully distracting but lethal bounty hunter. Who will get to him first? And will he ever find his missing brother? Step into the world of Black Kat with the prequel, Unlucky Charm. Now available at Amazon, Kobo, Barnes & Nobles and Apple. 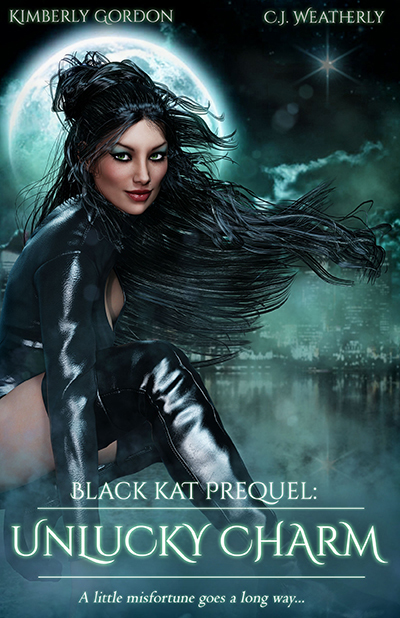 Keep up with all the happenings in the Black Kat series! Freebies, updates, sneak peeks and more!